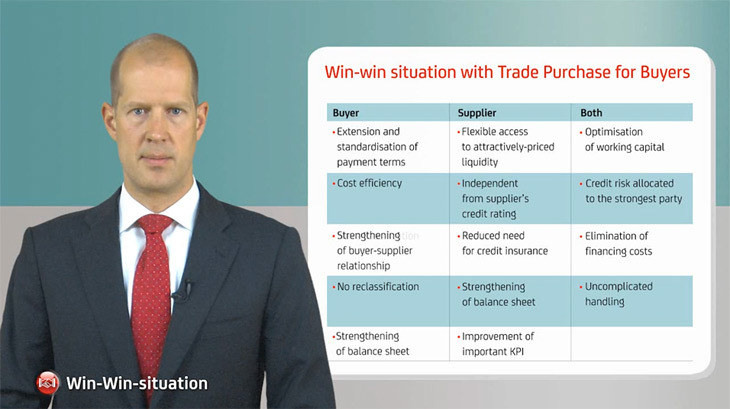 You want to optimize your Working Capital, prolong your payment terms and strengthen the relationship with your supplier at the same time? 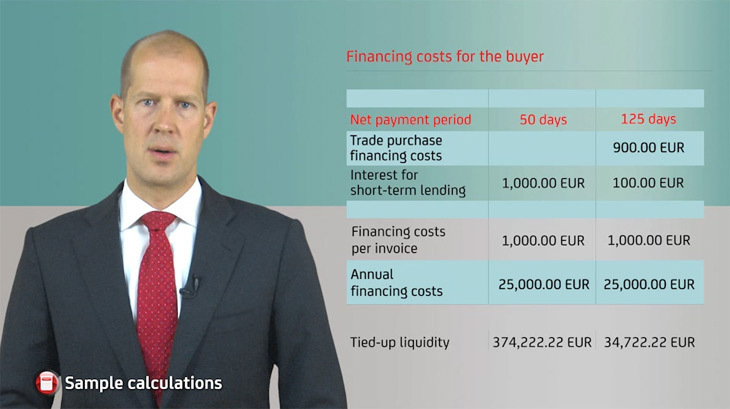 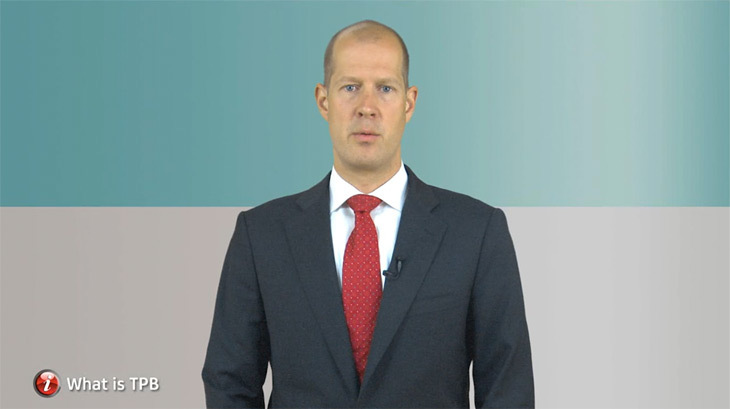 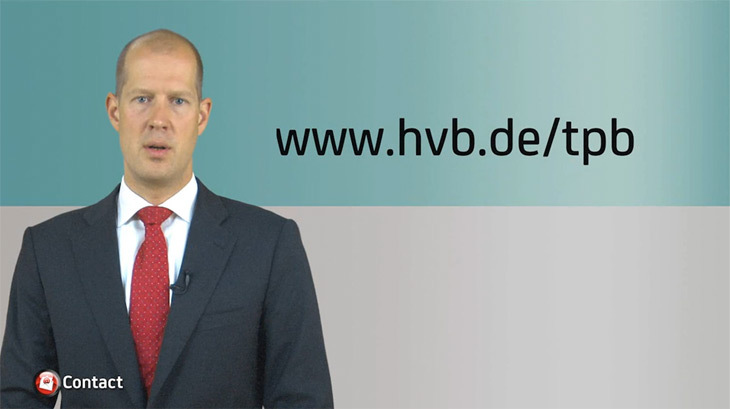 In short video sequences Dr. Sebastian Hölker, Head of Structuring and Implementation (Supply Chain Finance) explains how this is possible with Trade Purchase for Buyers (TPB). 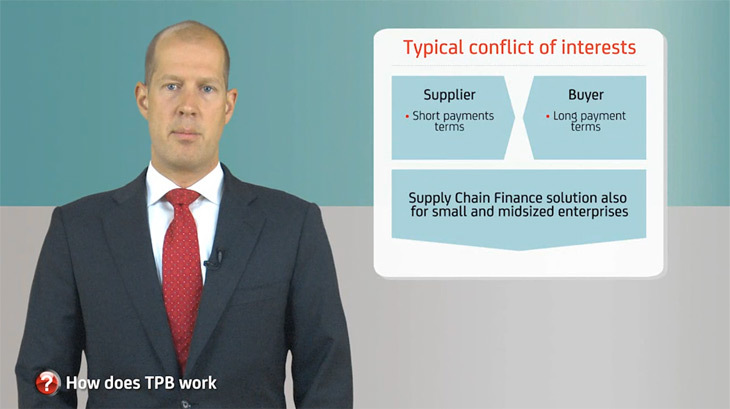 This Supply Chain Finance solution is an important tool for large multinationals as well as for small and medium enterprises.